Even on days when almost every last bit of energy seems to be used up, you can still nuke a cup of water, right? Well, we’re here to tell you that if you can nuke a cup of water, you can make at home a no-kneading-required pizza! No kidding! We’ll share a single rise crust, fun to top and super simple to bake pizza recipe that our webmaster has kindly agreed to share with our readers. 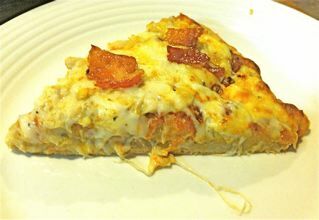 It is adapted from the Pizza Dough I recipe which can be found at the allrecipes.com website, so full credit goes to that source for their original recipe. Note that the webmaster puts this pizza together and bakes it off in less time than a delivery service would take to deliver a pizza to your doorstep on a busy evening in most locations around the country. You can easily customize this pizza to your liking and that of your family and/or friends. No special skills are required to prepare the dough or bake the pizza. You really can break the cycle of ordering delivery pizza! 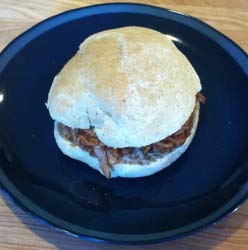 Just follow our © 2012 photographs, description information, and recipe method. Do you remember hearing or reading about the First Ever White House Kids State Dinner (actually a luncheon) served on August 20, 2012? A blog post of that date focused on the event since we feel the entire Let’s Move campaign being supported by First Lady, Michelle Obama, is such a great idea! The entire Healthy Lunchtime Challenge culminating in that White House Kids State Dinner event was a collaborative effort involving a number of partners. It involved a wide range of staff, including from the Let’s Move campaign, the White House, the Department of Agriculture, the Department of Education, and Epicurious Magazine. The “appetizer” for the actual White House luncheon event was a super simple Kale Chips recipe originally submitted by one of the 54 winning junior chefs, Samuel Wohabe, age 9, from the state of New York. Kale Chips could prove to be a great anytime snack, so since this is back-to-school time and cooler weather is either in your area or might be coming to it, we thought this would be a great time to mention about various kale chip recipes that can be found all over the world wide web. As part of Michelle Obama’s signature “Let’s Move” campaign to end childhood obesity in America, on Monday, August 20, 2012 the first ever Kids’ “State Dinner” as a formal luncheon is scheduled to celebrate the winners of the 2012 Healthy Lunchtime Challenge. Selected healthy focus recipes were featured at the luncheon. (Image of invitation to the 2012 Healthy Lunchtime Challenge shown for identification purposes only). A total of 54 winning budding chefs and one of their guardians / parents were invited to this special formal luncheon dining event. According to a video on the letsmove.gov website and various newspaper stories run on the winners, over ~ 1200 recipes were submitted from all 50 states, the District of Columbia, and 3 US territories: Northern Mariana Islands; Puerto Rico; and the Virgin Islands (but there could only be one winner from each of those locations). 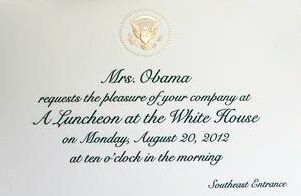 Winners (a US legal resident child between the ages of 8-12) and one US legal resident guardian/parent became eligible for round trip flights to Washington DC and hotel accommodations so that they could attend the August 20th formal luncheon being broadcast live starting at 10 AM from the White House in Washington, DC. In a number of cases, it is reported that a second parent may choose to pay their own way to the special occasion since it is so meaningful to the families of the winning junior chefs. It has also been reported that the children will receive a special “tour of the White House vegetable garden” with one of the Obama’s chefs as well as participate in a “behind-the-scenes tour of the Julia Child exhibit at the Smithsonian” before it becomes available to the general public. Read on for some additional details about the contest and the recipes chosen. Have you ever wished you could easily build a customized grocery shopping list that would make it easier when it comes time to head to the farmers market and stores for supplies? 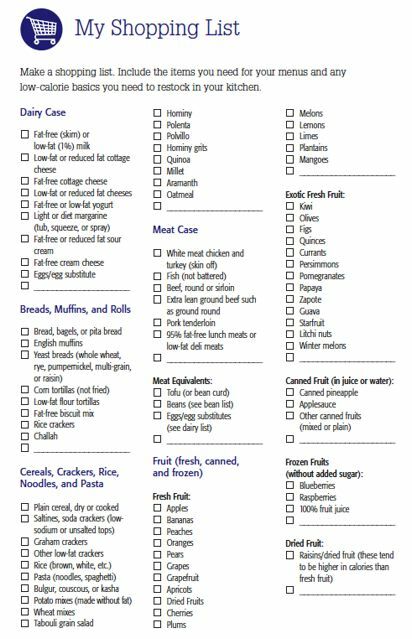 There are MANY “kitchen” and “pantry” focused food item shopping lists that have been posted over the years, with some being much more comprehensive than others. In this technical age there are both low tech and high approaches to dealing with coming up with those grocery shopping lists and we’ll cover some details of each type of approach. In the Northeast, August is the month where truly more localized produce variety increases and all sorts of marketplaces will start to feature a wider range of locally sourced product. We’d like to share some tips below to help make shopping for August Abundance that much more enjoyable for you. We’ll include ideas for before you head out shopping, once you arrive at the market place destination and while you are there, and then after you get back home again. In PA the weather has often been more temperate in the growing regions and they’ve had enough rain fall to enable farmers to send their harvest to stores that buy directly from them, including ones in NY. (Photo of corn stalks growing in a farmer’s field courtesy of our webmaster in PA). As the month progresses, here in the Northeast, we expect to see sweet corn (including the classic “butter and sugar” variety), along with some early apples showing up at farm stands, farmers markets, and in grocery stores that buy “locally” as well. (Usually some produce will come in from both NJ and PA as well as NY). 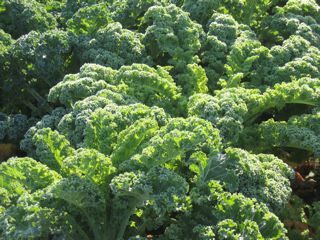 Do you remember what other fruits and vegetables are typically seasonally available in the Northeast right now? Is it Really Possible to Suffer From “Food Fatigue” in Italy? According to their program’s newsletter, some students enrolled in a special gastronomic curriculum in Italy claim it is still possible to suffer bouts of “food fatigue” there, unlikely as it sounds. Mind you, second year students in this Italian rooted program often have a chance to further expand their food horizons by traveling to additional places around the world. For example, they might engage in study trips to Brazil, Canada, Japan, and South Africa, that allow them to explore the local gastronomy and culture wherever they go. The curriculum, including additional countries visited, is always subject to change. 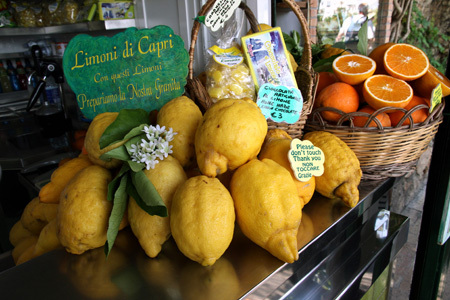 (Graphic of citrus fruits from Naples, Italy, courtesy of Carol & Mike P, fellow cruise lovers). The idea of the program is to produce a new breed of gastronomes. Nonetheless, it seems that sometimes food fatigue can apparently set in for even the the most devoted die-hard “foodies” out there. After all, life is about perception, and we have to accept that maybe some of those students have become jaded while living in and going to school in such a food-focused world. Right now it is summertime in Italy, and tomatoes and other fresh fruits and vegetables are ripening all over, so hopefully the gastronomes are once again feeling more inspired & renewed in their gastronomic journeys. To try to help those students feeling in a “food rut” to get out of their comfort zone and re-experience all Italy has to offer, a fruit and vegetable delivery service is actually bringing nature’s harvested fresh bounty right to where the students are.